A lovely sought after GPO 328L "bell on bell off model"
This has been stripped down and rebuilt after each part has been cleaned and polished. 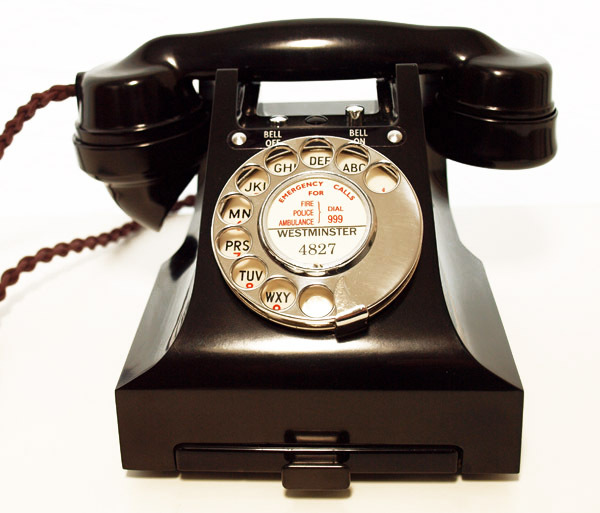 It has been fitted with a very best quality hand plaited handset cord. It has also been fitted with the best available electronic microphone to bring the speech quality up to modern standards. 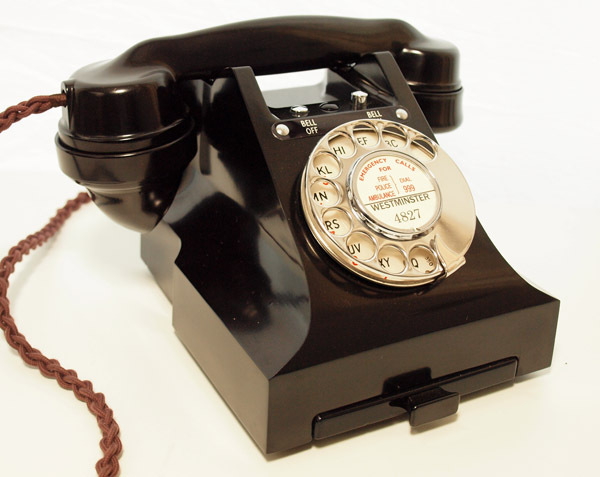 This telephone is all original and genuine both inside and out including the original GPO bell on bell off mechanism. 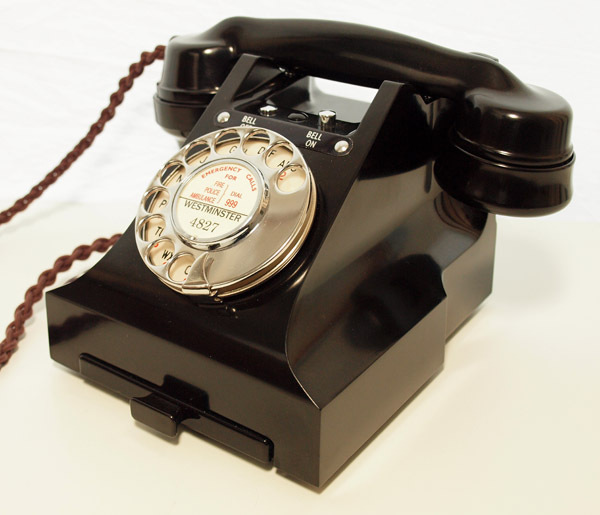 It retains an original GPO No12 alpha numeric dial and has a GPO specification round plastic line in with a UK telephone socket and so is ready to plug in and go. 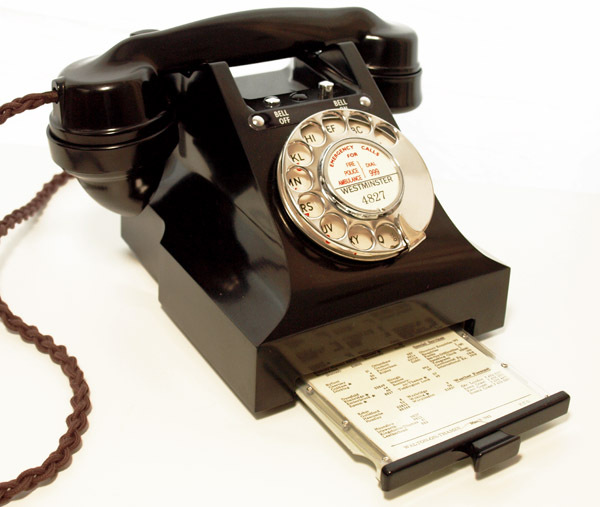 The handset is marked 1952.